Photographer: Kodai Ikemitsu. Model(s): Alice, Alice (Bravo Models). Source: Revs Digital. Makeup: Sayuri Iso. Hair: Katsuyoshi Kojima. Alice invites the wisdom of wonder to whisper sweet nothings in ‘Fragile Things‘ by Kodai Ikemitsu for Revs Magazine. Growing up in the Garden of Eden, Alice celebrates the story of sumptuous salvation. To get inside the landscape, it to feel it all around you, that is the subject of this striking tale. With high fashion that’s found in the form of garden greenery. Foliage grows up around the face as the vine of victory crawls onto the skin. Poignantly pictured, willow stems are made to look like exclamation points done with the eyes. 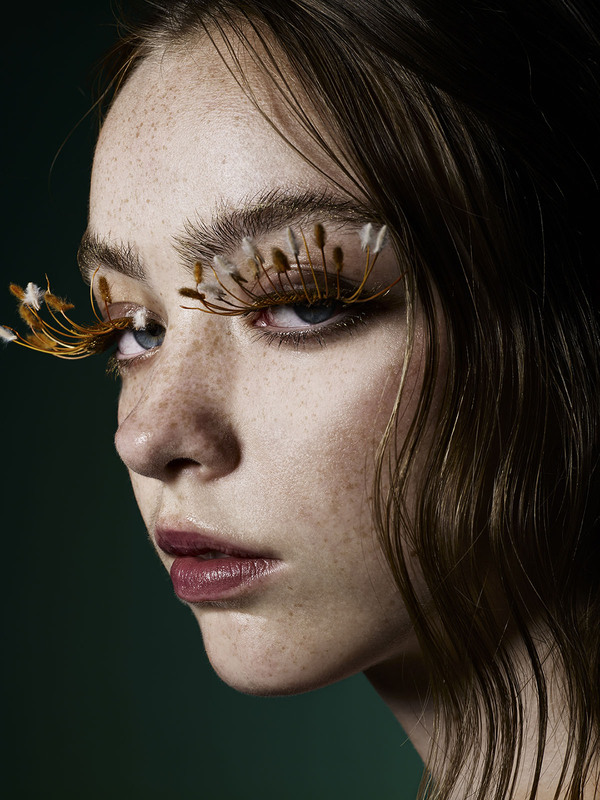 As exquisitely long lashes lure us in with faux tips that curl up in perfect harmony. Part of the art, (Makeup Artist) Sayuri Iso creates a face so hypnotic, Alice is able to hide in plain site. Whispers of wine come alive as tiny flowers make their way across the lids. Beauty blasts off with color that captures the somber shades of shadow and lips captivate with crimson as the mouth is marked with solid gold. Leaving metallic to flow free as the tips of the teeth are brushed with an auric glow. 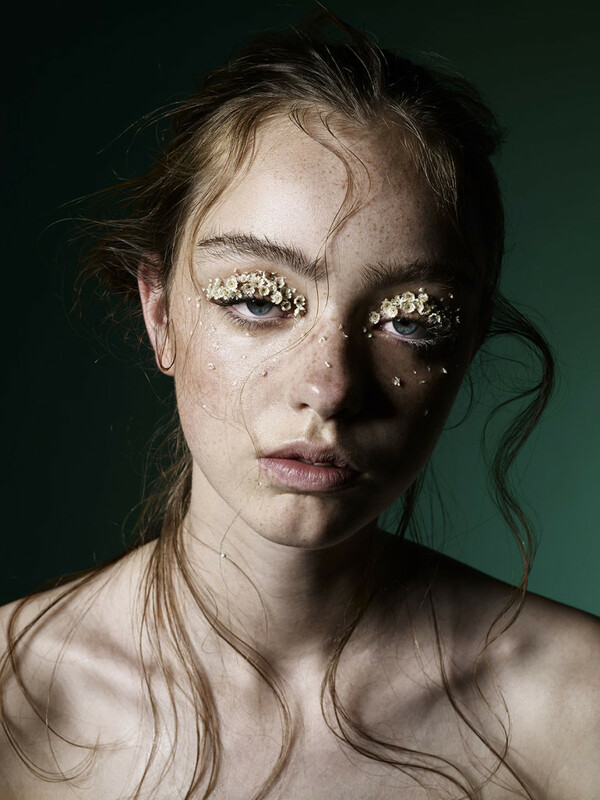 Swipes of blush cover the skin as sweet freckles peek through the soft powder. Hairstylist, Katsuyoshi Kojima, creates a vision of dark roots spreading down the trunk like branches from a tree. Natural waves lend themselves to the story with product free pictures that celebrate the purity of life. Organic air unfolds as Kodai invites us to explore this heaven on earth. will be their last rest.